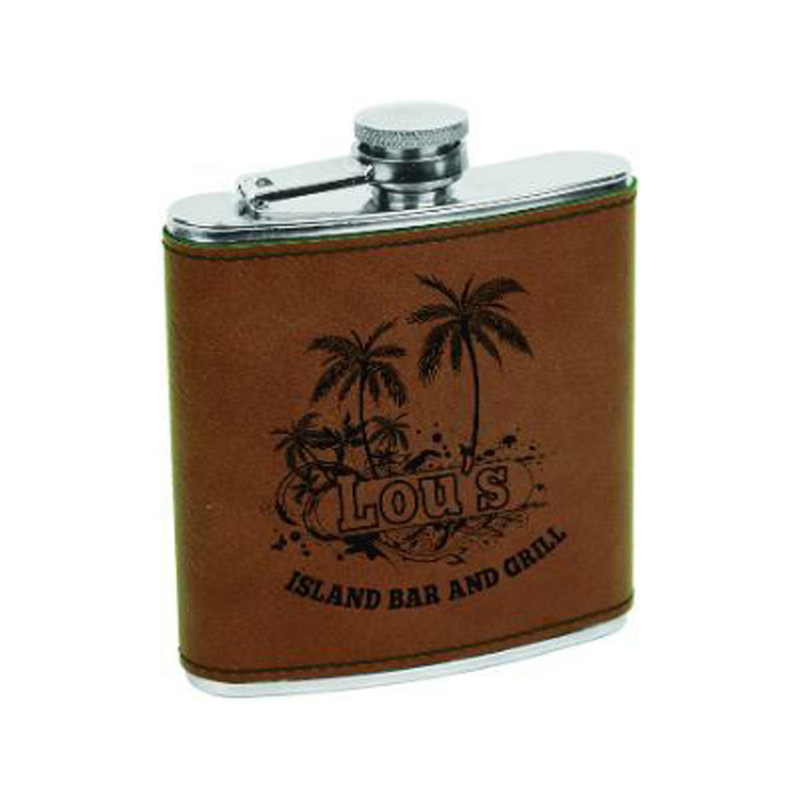 Stainless steel 6oz dark brown leatherette flask. This beautiful flask is laser engraved with a permanent black imprint. Comes individually boxed for a nice presentation.